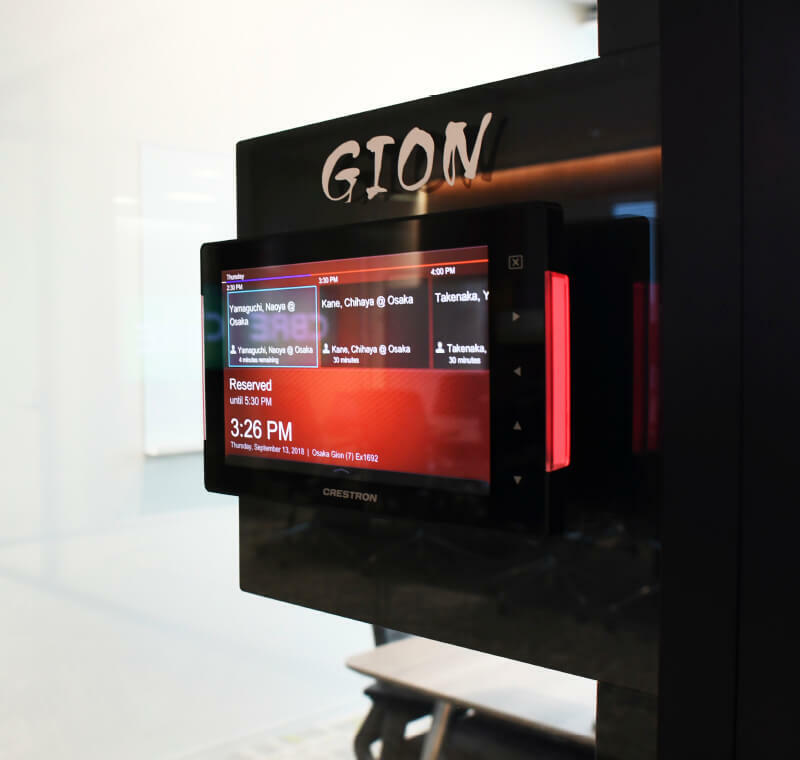 CBRE brought in a Fusion conference room booking system in order to utilize their conference rooms more efficiently. 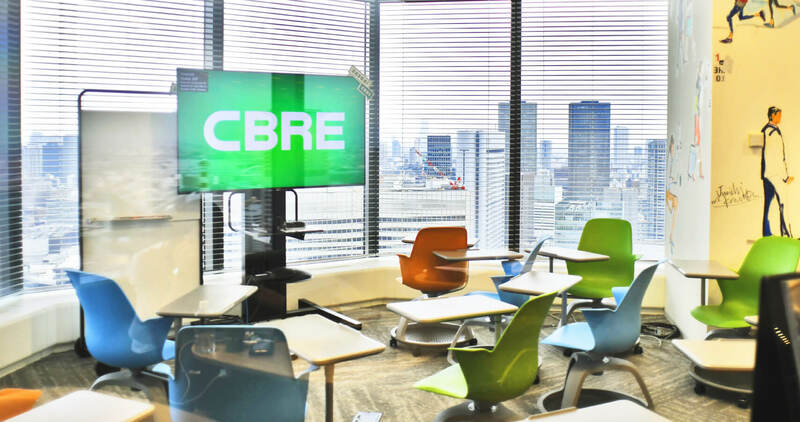 In the winter of 2018, when they relocated their Osaka office, CBRE began using A/V equipment and a Fusion conference room booking management system from AstroServe. They had already been using a Fusion system at their Tokyo office, and chose one for their Osaka office because of its outstanding design and functionality. With regard to the A/V equipment, CBRE adopted our proposal because the features and costs met their needs. 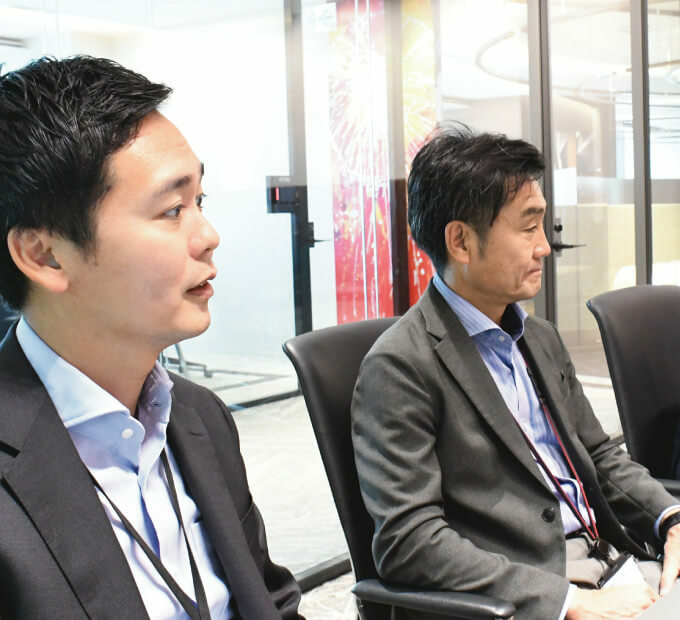 Four people from CBRE, including Global Workplace Solutions Senior Project Manager Mr. Mitsuse, were kind enough to speak with us about topics including their thoughts on the installation of the new system. ― Have there been any changes since you brought in the new A/V equipment? ― Has using the Fusion system resulted in more efficient use of your conference rooms? ― Were you satisfied with the support you received from AstroServe staff?